Lots of choices. Lots of species. Lots of records still to be set. It’s just hard to figure out where to spend your valuable time, isn’t it? 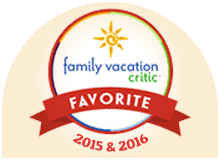 Well, we’ve cast a few flies in our days, and you best put the Abaco’s on your list, because pretty much everyone else does! 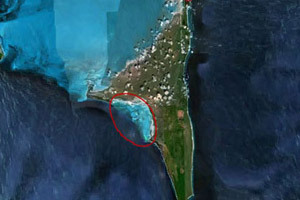 And as true as that may be, we have a secret about fishing in the Abacos…..go south, my friend, go south. Down on the south end of Great Abaco, we have a virgin fishery. There’s only a sprinkling of folks down this way, so the vast number of guides who live further north just don’t come this far south. Even with all the development and fishing pressure to the north, the fishing there remains legendary. Can you grasp what that means for fishing the vast deserted flats to the south? Vaughn Cochran makes his living from fishing. The Keys, the Marquesas, Mexico, Belize and beyond. Fished that. Seen that. Caught that. Forget the monster bonefish. Here, its about permit! Permit the size of boogie boards. Really, Vaughn? We’ll take both! The flats action is simply superb. Across the vast fishing grounds of south Abaco, Vaughn and Clint have identified six distinct zones. These zones offer incredible diversity and flexibility in building a 3 to 4 day fishing adventure, regardless of wind and general weather conditions. There’s no preordained schedule. Each night you’ll go to bed confident of a fishing plan that will put you into the action, regardless of your skill level and weather. Yes, you have to do the catching, but this fishing is the next best thing to doing it in a barrel! The location of the Lodge was selected for a couple of reasons. Yes, we have incredible flats fishing, and that’s our expertise. But like all anglers, we like to mix it up, especially when the big game action heats up, and it’s really, really close by! 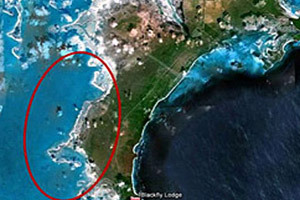 Schooner Bay is located on the Atlantic Ocean, and just 10 miles out is the wall that holds some of the biggest fish to be found in the Bahamas. So big and plentiful, in fact, this area is home to the prestigious Bahamas Billfish Challenge, and a host of other tournaments hosted during the year. Now there are a bunch of small rental boats to be had in the Abacos, and a couple older sportfish boats available for charter, but nowhere other than the Blackfly Lodge will you find a fully rigged, tricked out 31’ft Yellowfin, a top-of-class sportfishing machine, ready to chase down the best big game fish the Bahamas can serve up. Marlin, tuna, dolphin, wahoo. They’re all here, just offshore. Run Twenty-five miles south, you’re fishing the famous Hole-in-the-Wall, and another twenty-five miles east, you’re offshore of the famed Harbour Island. 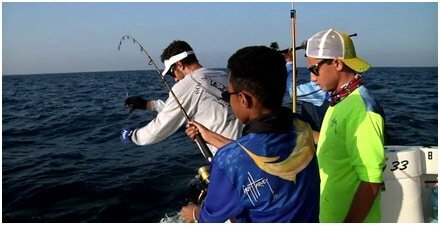 Run twenty Offshore Fishing five miles north, you’re fishing off “The Elbow”, where just last year, the Bahamas Blue Marlin record of 1,119 lbs was caught. This is The Strike Zone! Here is some of the best bluewater fishing in the world. And to think, yesterday you’re hooking up record setting permits, and tomorrow monster bonefish. There are few places like it! By the way, did you bring your 15 wt? We’ve coming up on a tuna school! Admit it. Flats fishing is the most fun you can have in calm water. It’s just a fact, however, that getting to that calm water often means a long ride across open water that’s not so calm. One of the biggest complaints that Vaughn has gotten over the years is “that ride to and from the fishing beat us to death”. It’s especially true with the move to smaller technical poling skiffs popular for the skinny water of the Bahamas. For flats fishing, he and Captain Clint settled on equipping the Lodge with 19ft. 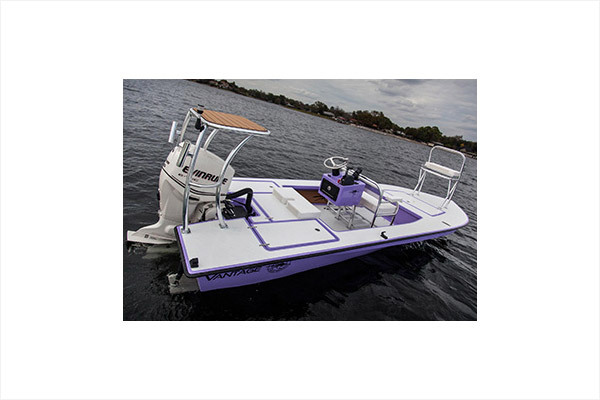 East Cape skiffs powered with the new light weight Evinrude e-tech 90HP engine. Working with the Florida based builder, these skiffs have been customized by Vaughn and Cling to offer the best in comfort and safety, and the Blackfly Lodge Edition was born! 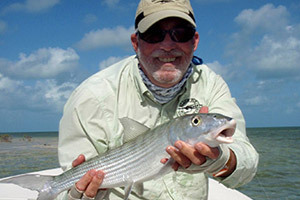 In developing the Blackfly Lodge, Vaughn concluded this fishing area is more like the Florida Keys and Key West, where you occasionally need to cross open expanse of water to get to the larger bonefish, permit and tarpon in deeper water, or want to run to Mores Island or some of the offshore cays nearby. 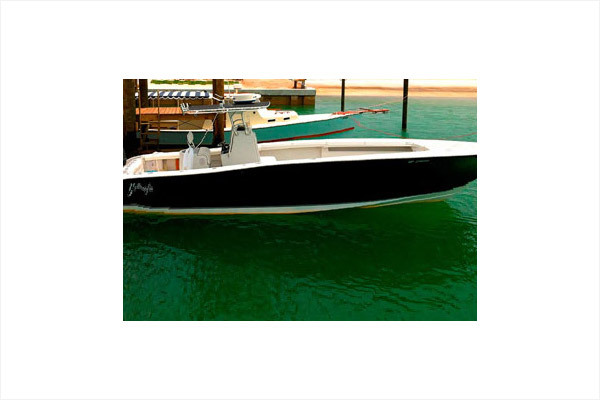 Click here to see a video on the new skiff, and imagine yourself aboard! Now, we’re not sure why one of the skiffs is painted electric purple, so you’ll have to get the answer to that from Vaughn when you see him! Flyfishing entrepreneur, artist, conservationist and passionate angler, Vaughn couldn’t resist the temptation to turn a superlative flyfishing destination into an exceptional flyfishing vacation experience. With his wife’s tough love and exacting casting skills, he continues to work on his casting distance hoping someday to best Jean for lodge honors. In the meantime, its his wit and good humor, and Jean’s administrative skills, that keep Blackfly Lodge at the top of its game! Together they have managed some of the top lodges in Belize, Costa Rica, and Mexico. He’s a refugee of Key West, where he moved to in 1972 from St. Augustine to start his fishing career. Along the way, he just happened to become an original member of Jimmy Buffett’s Coral Reefer Band! We’re not sure if he made the right choice, but we’re sure glad he’s permanent gig is now playing at the Blackfly Lodge! Well, it was all Clint’s idea. A native Bahamian, with a misspent childhood chasing bonefish between homework assignments, Clint had the idea for both the lodge, and the persistence to convince Vaughn to become his partner. The rest is written in the flyfishing record books! He’s a veritable machine – fishing all day, returning to the lodge to oversee some of the best cooking you’ll enjoy down island. He owes that skill to his dad, and there’s no question the apple fell close to this tree! He left corporate life behind to pursue his fishing passions, and now manages the lodge, overseeing all operations and fishing programs. Dave is the partner who brings strong financial expertise and international business experience to Blackfly Lodge. He and his wife Carol own one of the first houses completed in the new development. His support and his business skills gained from his role as Chief Financial Officer of Suncor Energy, Canada’s largest energy company, underpin the operation of Blackfly Lodge. 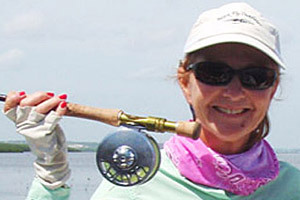 Jean Cochran may just be a better angler than the entire Blackfly team taken together. Regardless, she’s Vaughn’s better half! 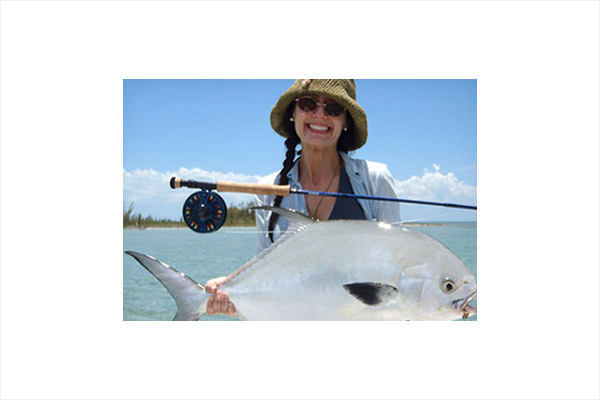 She has traveled the fly-fishing tropics, working first as co-manager of the Parismina Tarpon Rancho in Costa Rica and later as Manager of Golfito Sailfish Rancho on Costa Rica’s west coast and Club De Yates in Isla Mujeres Mexico. About that time, Vaughn came along and later she took him further down island where together they ran Turneffe Island Lodge in Belize. Jean is a fluent in Spanish, understands first class customer service and without question is familiar with the ins and outs of running top tier fishing lodges. When she’s not in residence, she’s back at Blackfly world headquarters in Jacksonville, Florida making sure the retail, art, restaurant and travel operations are spinning smoothly. 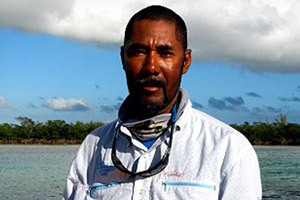 Captain Paul is an Abaco native. 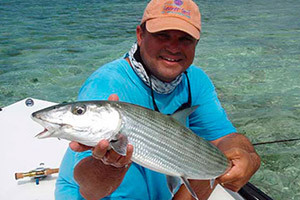 The Pinder name is synonymous with legendary Bahamas bonefishing. With his knowledge and charm, Captain Paul continues the family legacy. Growing up here, Captain Paul has a vast knowledge of the fishery and his good nature makes for an enjoyable and productive day on the water. Indeed, put him up against Vaughn and Clint, and it makes for spirited fishing competition any angler is sure to enjoy! The fishing grounds that surround Schooner Bay form six distinct zones each rich in a variety of species and large enough to support the entire lodge fleet if weather were to force all boats to fish in one zone. Only the most severe weather would cause a cancellation. Each zone supports similar species yet each as a unique offering in both species and habitat. 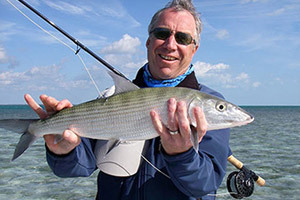 Bonefish, Permit, Snappers, Sharks, Barracuda, and Tarpon are among the species found on these waters. Fishing this zone begins as soon as the boat is launched from the ramp at Crossing Rocks. The shallow water inlet is home to resident fish, from mudding schools to large single fish in double-digit sizes. A run though the mangrove creek from the inlet is exhilarating and builds the anticipation of days fishing. Wade fishing is exceptional in this zone with miles of firm bottom flats that drop off into deeper mud and grass flats. It would take weeks if not months to explore all that zone one has to offer in the extensive creek system that forms the southern reaches of the world famous Marls. To the West lies Big Mangrove Cay. 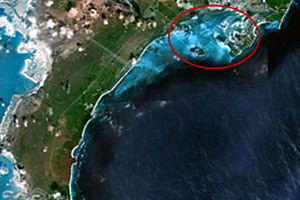 This is a series of small cays surrounded by deep water and turtle grass flats. As the tide comes in typically feeding fish work the flats and numerous schools feed along the shore. Sharks and Barracuda are abundant and Permit can be seen in good numbers during the warmer months. This is an 18-mile shoreline fishery. Numerous islands, creeks and flats create an unlimited habitat for many species. Small to large bays form the shoreline providing cover in the wind to huge numbers of fish, including large schools of mudding or tailing fish along the shore and sometimes bonefish, jacks, and snappers all feeding together. Cross Harbour Flats. This system flows out of the blue waters of Hole in the Wall making it one of the best flats in the Bahamas for really big fish. Large numbers of Permit and double digit bones can be seen regularly on this flat. This flat system is accessed by trailoring 20-minutes to Sandy Point then running 20-minutes by boat. The blue water fly fishing opportunities at Schooner are unprecedented. The legendary blue water of Southern Abaco is only minutes from the mouth of the Schooner Bay Harbor. Dorado, Tuna, Billfish and many other species abound in this rich offshore environment. This blue water zone is virgin territory for anglers seeking the thrill of connecting with large ocean fish on the fly. 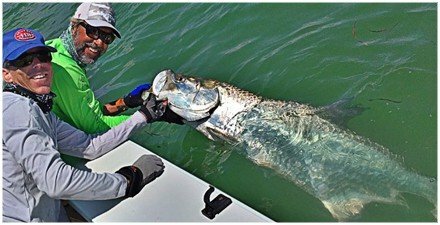 When weather permits the run to Hole in the Wall can produce amazing opportunity to connect with some of the toughest fighting fish in the world as well as exploring ocean flats that hold very large bones and permit. A 20-minute trailor to Cherokee Sound puts anglers on an incredible ocean flat with lush turtle grass, snow white sand and gin clear water. 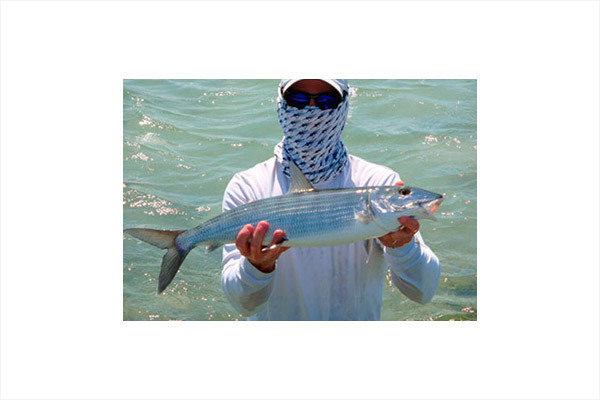 Cherokee Sound routinely produces Bonefish up to 14 lbs. 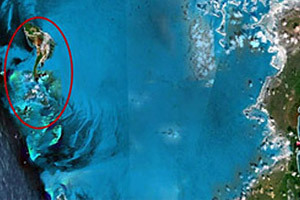 With the nearby settlement, this zone receives the most pressure making the fish more challenging to catch, and that’s the tradeoff for their size. 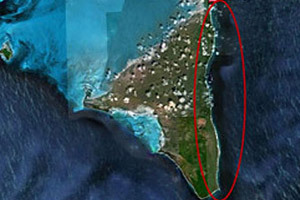 The largest of some 10-12 cays that sit on the edge of the northwest providence channel and comprises about a 20 sq. 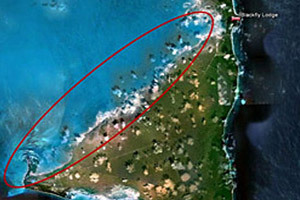 mile area of gorgeous bonefish habitat. Eighteen miles and a 30 minute ride (weather depending) from the launch at Crossing Rock across relatively shallow water brings you to the edge of this fishing fantasy. The incoming tide brings large schools of bones onto the flats, including double-digit fish. Mores Island offers unquestionably some of the best Permit fishing to be found, and with a summer run of Tarpon.